Do you feel awkward at networking events? Do you wonder what your date really thinks of you? Do you wish you could decode people? You need to learn the science of people. As a human behavior hacker, Vanessa Van Edwards created a research lab to study the hidden forces that drive us. And she's cracked the code. In Captivate, she shares shortcuts, systems, and secrets for taking charge of your interactions at work, at home, and in any social situation. These aren't the people skills you learned in school. 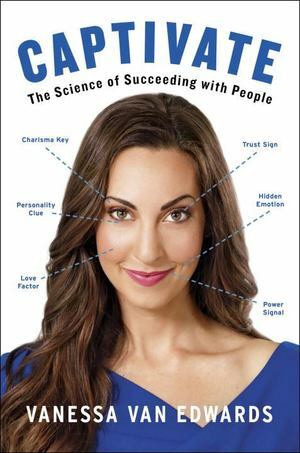 This is the first comprehensive, science backed, real life manual on how to captivate anyone--and a completely new approach to building connections. Just like knowing the formulas to use in a chemistry lab, or the right programming language to build an app, Captivate provides simple ways to solve people problems. You'll learn, for example... #65533; How to work a room: Every party, networking event, and social situation has a predictable map. Discover the sweet spot for making the most connections. #65533; How to read faces: It's easier than you think to speed-read facial expressions and use them to predict people's emotions. #65533; How to talk to anyone: Every conversation can be memorable--once you learn how certain words generate the pleasure hormone dopamine in listeners. When you understand the laws of human behavior, your influence, impact, and income will increase significantly. What's more, you will improve your interpersonal intelligence, make a killer first impression, and build rapport quickly and authentically in any situation--negotiations, interviews, parties, and pitches. You'll never interact the same way again.